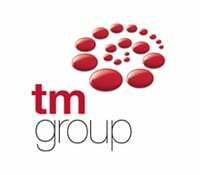 83% of conveyancers either don’t have a quote tool on their firm’s website or don’t know if they do, according to a poll conducted by leading property data and service provider, TM Group. In a previous report, when asked which area they were looking to win new instructions, around a third of conveyancers answered that they were keen to attract new customers online and through their websites. However, in this new research, it has emerged that just 17% of conveyancers confirmed that their firm’s website had a quote tool to help capitalise on their prospective customers. While there are other factors – such as service, communication and accessibility – at play when choosing a conveyancer, offering prospective customers the ability to quickly and easily find out the cost of using your firm can be the difference between winning and losing new business online. Additionally, an online quote tool on your website can help reduce the time that fee-earners spend on the phone, freeing them up to give more time to the transaction itself. 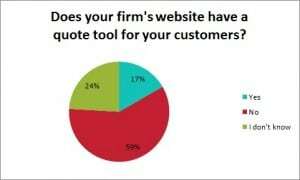 The good news is that, with nearly two thirds of respondents in the poll certain that their firm’s website doesn’t have a quote tool, firms can easily seize an advantage over a substantial proportion of the competition by introducing one, ensuring that their website gets on the shortlist and communicates potential fees to customers.